BirdsEye is an internationally known brand of food products owned by North America’s Pinnacle and Europe’s Permira, a private equity firm. The Birds Eye brand is widely known in the USA, UK, New Zealand and Australia. BirdsEye originated from Clarence Birdseye in 1922. Birdseye was able to invent a process of fast freezing food that preserves its quality. In 1929, General Foods founded a company and bought the rights of Clarence Birdseye’s fast-freezing invention. Over the years, the BirdsEye brand reached countries outside the United States. The brand and its core business were held by different owners in different territories. In the United States, BirdsEye was a part of General Foods, which merged with Philip Morris USA and Kraft Foods to become Altria Group. In 1993, Birds Eye was purchased by Dean Foods and was then independently owned by Birds Eye Foods of New York. In 2009, Birds Eye was purchased by its current owner, Pinnacle Foods. In Europe, the BirdsEye brand was previously owned by food manufacturing giant Unilever. In 2006, Unilever sold Birds Eye to a British private equity firm Permira. Europe’s Birds Eye became the brand for the company’s main product, Fish Finger. This flagship product was created by HAJ Scott in the company’s old factory, which was located in the area of Great Yarmouth. In 1946, the company started producing frozen vegetables by using Birdseye’s fast-freezing process. Currently, this fast-freezing process is also used in the production of frozen potato waffles and beef burgers. In New Zealand and Australia, the BirdsEye brand and its core business is owned by Simplot Australia Pty Limited. This company is a wholly owned subsidiary of J.R. Simplot Company. Simplot acquired Birds Eye and most of Australia’s most popular brands from Pacific Brands in the middle part of the 1990s. 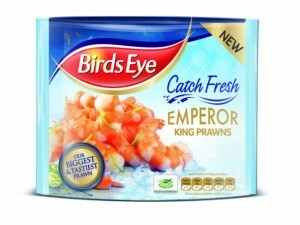 Currently, Birds Eye is the country’s leading brand when it comes to frozen food products, such as frozen potatoes, frozen seafood and frozen vegetables. Birds Eye frozen food products are produced at the company’s facilities in Tasmania, Bathurst, Devonport, South Wales and and Ulverstone. Aside from its own brand, Birds Eye also distributes a variety of retail food brands such as Bernstein’s, Brooks, C&W and Greenwood.